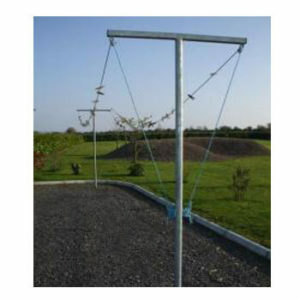 CLOTHES LINE POLES IN STOCK! Our price only €89.00 for pair! 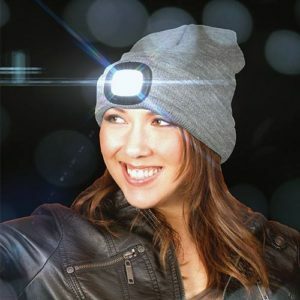 Three functions: hammer, drill and chisel. Complete with 5 piece drill and chisel set and carry case. 2 GRINDERS FOR THE PRICE OF ONE! 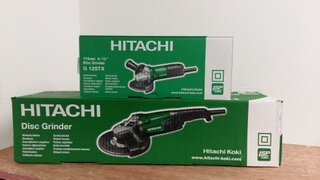 The Hitachi Angle grinder twin pack contains a G12STX 115mm mini grinder and a G23ST 230mm angle grinder. 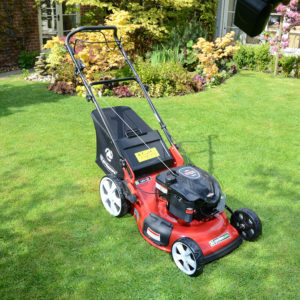 The Hitachi G12STX 115mm / 4. 1/2 in disc diameter mini angle grinder has a powerful 580 watt motor with excellent overload durability. 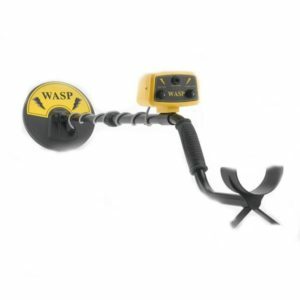 It is compact and lightweight, has a top mounted on / off switch and the standard accessories include, side handle and wrench. 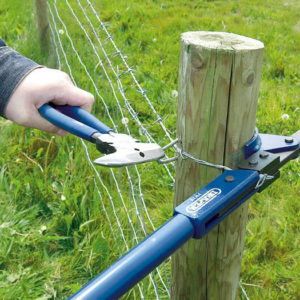 New draper wire tensioning tool Designed for tensioning wire (including barbed wire) up to 4 mm diameter prior to stapling onto wooden fencing posts. 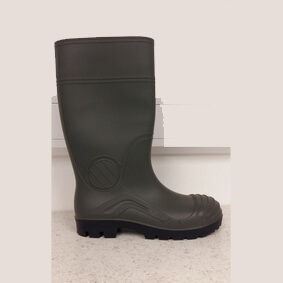 Manufactured from carbon steel hardened and tempered with 600 mm long handle for excellent leverage and a pivoting 'Durbar' steel locating foot to grip any post type whilst straining wire. 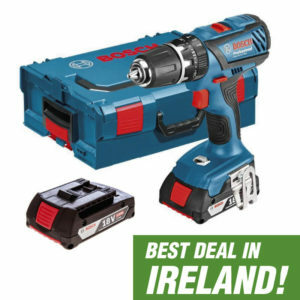 BEST BOSCH DEAL IN IRELAND! SAVE OVER €190.00 RIGHT NOW! The Protool 4 section hinged aluminium ladder has a 150kg loading rate and comes with metal stabilisers. When used as a step ladder the height is 1.8 metres, and when used as an extension ladder the height is 3.7 metres. 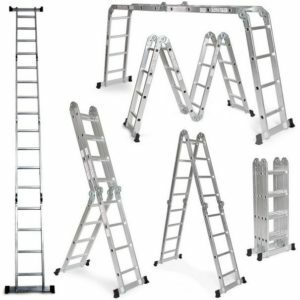 The ladder has 4 adjustable sections with 3 rungs per section. The measurements for the platform of the ladder is 48cm high x 96cm long. hand or machine washed when required. 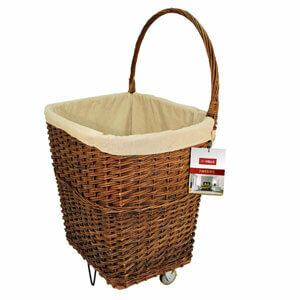 Large Natural Wicker Firelog Cart with Jute Liner, Natural dark wicker, Wooden bottom board, Steel frame, Ideal for use as laundry basket. 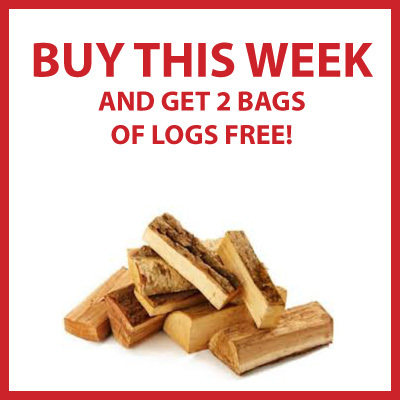 To Buy & Collect at Store enter Voucher Code: FLC995 at Checkout to avoid delivery charge. 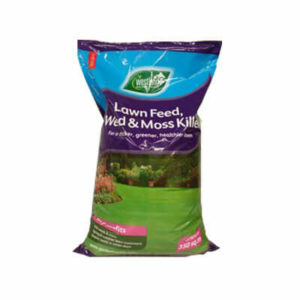 12.25kg bag of Westland lawn feed, weed and moss killer will selectively kill weeds in your lawn whilst feeding your grass and turning it a lush green. The added iron content will kill the moss. 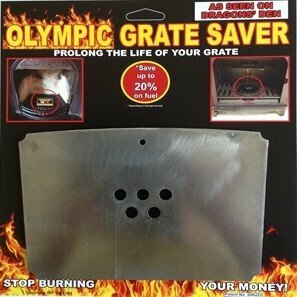 You can use this product whilst the grass is growing from March through to the end of October. 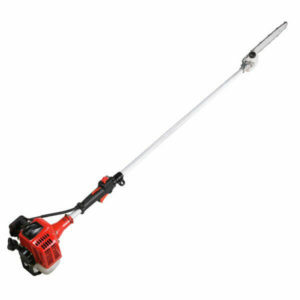 Powered by a 26cc 2-stroke engine the warrior pole pruner is a good quality long reach pole saw, very effective for pruning tall branches and eliminating the need for a ladder. 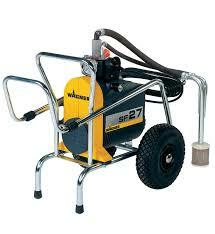 Ideal for medium to large production residential, medium commercial or medium maintenance applications. Powerful and versatile for the best surface finish. 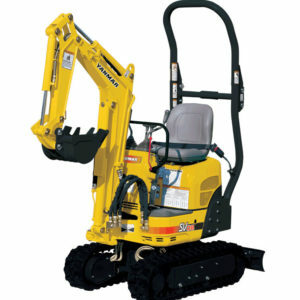 Watsonhire, Letterkenny have the largest range of tools, Hardware and hire equipment available anywhere in County Donegal. We buy the best tools to get the job done and we offer them at the best prices available. Watson Home Hire & Hardware is No.1 for service & repairs in County Donegal. Our high standards when servicing and repairing tools speaks for itself. And our highly motivated staff love serving you. The customer is always No.1. 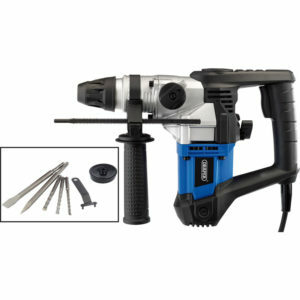 Watson Home Hire & Hardware sells quality tools and hardware at affordable prices. We are constantly watching the market place for the best deals, checking our prices to get you best deal possible.